Terrapure is seeking approval to increase the capacity for solid, nonhazardous industrial residual material at the SCRF by 3,680,000 m3. Currently, the SCRF is permitted to received both industrial fill and residual material. Terrapure only accepts material that cannot otherwise be reasonably diverted. Residual material is solid, nonhazardous material from commercial, industrial and institutional sectors. Industrial fill is excess soil generated from construction activities, such as redevelopment of brownfield sites and infrastructure renewal projects. 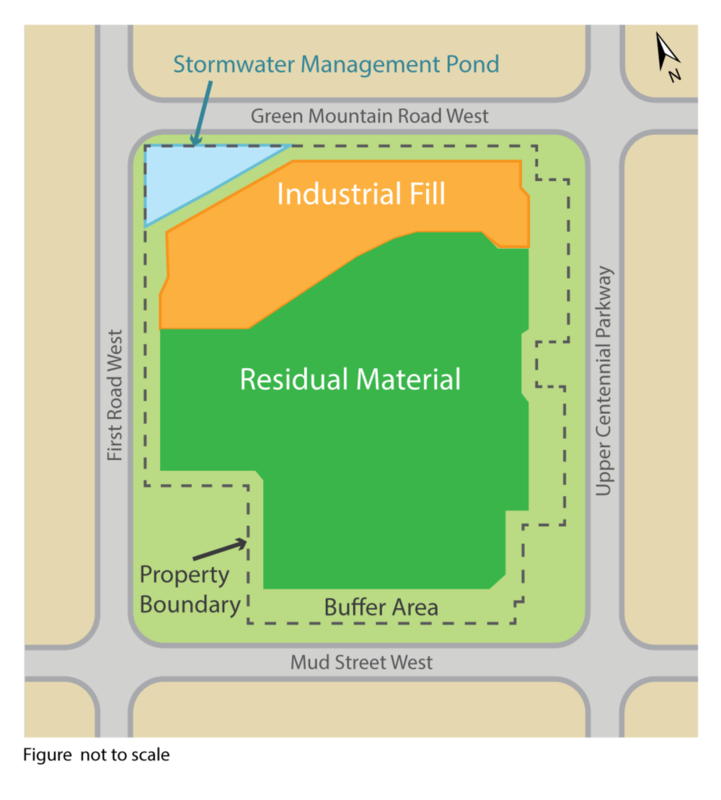 Three of the options would replace industrial fill with residual material, allowing us to reach the ultimate capacity at the site sooner because the market rate for residual material is better and more consistent than industrial fill. The currently approved footprint is included as part of the Environmental Assessment to represent what would happen if none of the six options were carried out. Please hit submit once you have entered your comments before moving onto the next page. Click below to download photographic renderings of how the options would look from different viewpoints near the site.